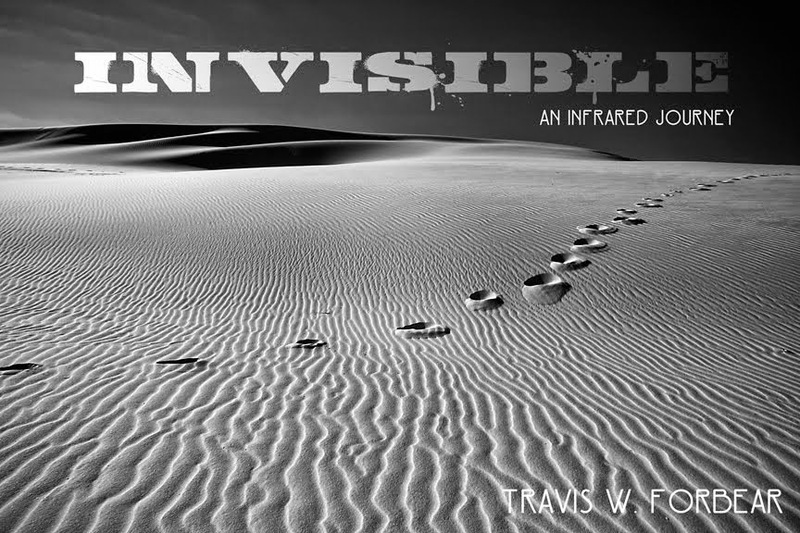 I'm so excited to announce INVISIBLE - An Infrared Journey. I've been pushing myself to the point of punishment some days to make sure this dream would become a reality for me. INVISIBLE will be my first book. Yes, you read that last sentence correct, my first book. I've been wanting to create a book for years, but I lacked the right project. I finally found my true calling. I found the one thing I am passionate enough about to push myself to the limits of my ability and beyond. The easy part of the project is finished. I have made all the photographs I planned for the book. But, there's more. I still have to select the best photographs, finish the stories and design the layout. For me, the journey is only beginning. This is the part where I make the commitment. This is the part that will define my personal success. I'm a project starter, but I often loose my focus along the way. This time is different. My focus is sharper. I'm making goals, reaching them and going farther than I ever imagined. There have been days when I wanted to sleep in, not hike any further, not change a lens and challenge myself, but one day several months ago, something inside me changed. Instead of saying no to an opportunity, I said yes. That yes is the voice in my head, telling me to push a little harder. To take one more step. Then, one more. And when I think I have nothing left, I make one more step, one more photograph. Some of the best work of this project has come from those extra steps, the refusal to quit. It's that voice in my head that keeps me waking early to write, plan and get moving, so I can make better photographs. For the first time in my life as a photographer, I know how I want to photograph the world. I've been making photographs for years, but I've never had the pure elation I get from photographing in infrared. That doesn't mean I will stop photographing subjects in color. No, I'll still challenge myself to try new ways, new angles, and new processes, but at the end of the day, my heart will remain in the invisible realm. I've taken the first few steps, but there are so many more to be made. I've made my choice to keep moving forward, now it's your turn. You make the decision to follow along. If you've come this far, what's one more step? The journey starts now. It's up to you to follow along, or to decline the offer. 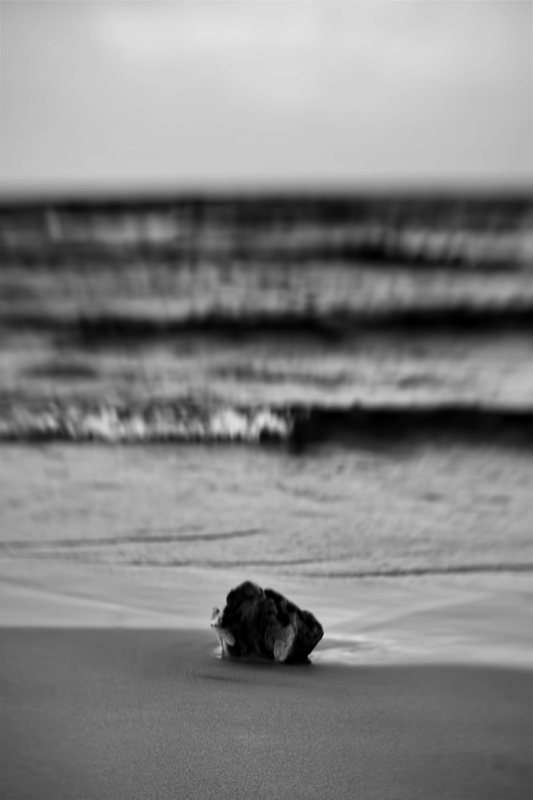 The name of the above photograph is taken from Nemo, the dreamer. This project started out with a dream. A desire to make photographs in infrared. When the dream became a reality, I could have stopped. I could have become complacent, making safe photographs. That almost happened, but then something clicked, I realized I would never be satisfied until I pushed myself beyond the comfort of safety. More than anything, that's what INVISIBLE is for me. It's pushing past the known. It's about moving into an unseen future. I'm including this photograph from the project because it's a mistake. I made a lot of mistakes. I missed a lot of photographs I wanted to make. I failed more than I succeeded some days, but I didn't quit. Instead, I worked harder. I made more plans. I studied more. I practiced. And in the end, I still missed the occasional photograph. There is so much left to do. I've witnessed the many paths I could follow, but I've decided to make my own. Follow along if you will.